There are many different types of recruiting events where it will be helpful to have a great elevator pitch. Whether you are going to a campus recruiting event, a career fair, or even an interview, you’ll need to have your elevator pitch ready. 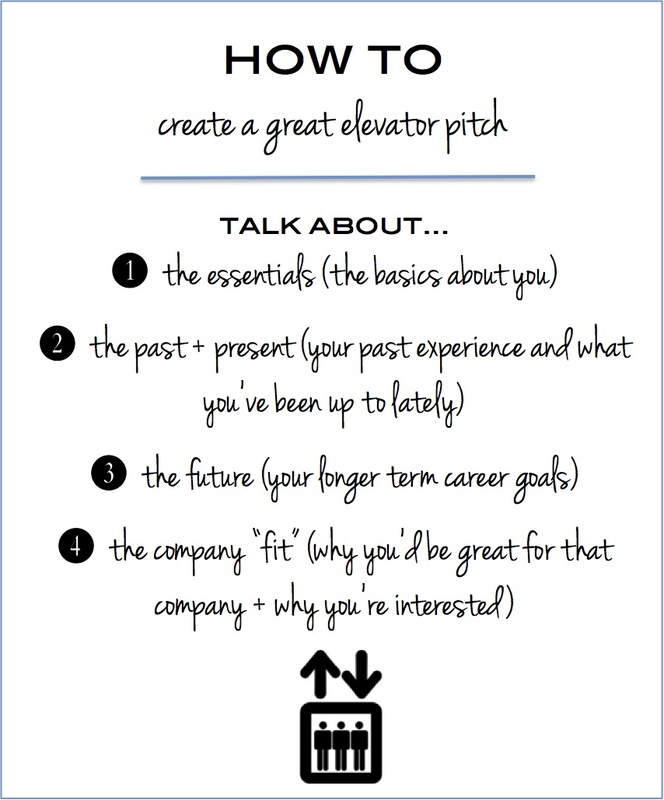 This post is about how to create an elevator pitch and what makes one really strong. The truth is, you are going to have a limited amount of time to “tell your story” and make a positive impression. This is why so much emphasis is put on the perfect elevator pitch. When just starting out in the recruiting process people wonder how to create an elevator pitch. I generally encourage people to mentally “break up” their pitch into 4 sections – the basics, the past, the future, the company fit. Let’s take a deeper dive into the different parts. Keep in mind each part should be very brief and to the point. The name “elevator pitch” does come from the notion that you should be able to get through it in it’s entirety on an elevator ride. It’s easier to walk through with an example so let’s take former (and slightly modified) version of myself: Junior @ NYU, Psychology Major, Interested in HR. This should really just be your main facts or “stats”. What is your name, where are you in school, what year are you, what is your major, and what do you want to do with your life (if you know). Using the example, this would sound like “Hi, I’m Jaime, I am a junior here at NYU studying psychology, and I am interested in pursuing a career in Human Resources.” That’s it – don’t overcomplicate it. If you are a student this is probably what you did this past summer and anything else that you are involved in (that a future employer absolutely must know). Basically, what about your past experience is relevant to this conversation/this role. 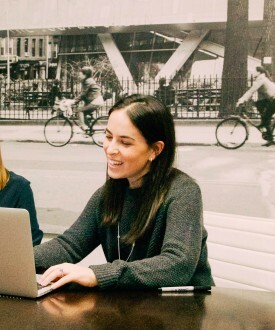 Going back to our example: “Based on my interest in HR, this past summer I interned on the recruiting team at Company X which was a great experience. On campus, I am involved in the HR Club and the Finance Club which gives me great exposure to learning more about Human Resources and also about the Finance industry.” I may also be a member of the cooking club, but given the shortened time, there’s no room for that here. Putting it all together… here’s an example of that elevator pitch. Follow this “skeleton” to put together your own elevator pitch. The reason I refer to the example as the “slightly better, slightly embellished” version of myself is because I definitely didn’t have this direction or this type of experience. Be true to yourself and don’t feel like your pitch has to be “perfect” and “all figured out”. By emphasizing certain interests and parts of your experience, your pitch can be adapted to almost any opportunity. Once you have it together, practice it in front of a friend, family member, mirror, etc. The more you become comfortable, the less nervous you will be. And when you’re not nervous, you come across as confident. You have a very small window to make a positive impression in a big networking event or information session. Practice this short pitch and know it cold. 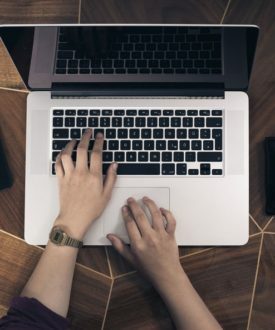 It is the best way to make an impression and be invited to the smaller, follow-up events that will hopefully follow where you can take a much deeper dive into your experiences.